The result of the complexity, character, and scarcity of the D11 was that the V8s developed a unique fanbase separate from most of the other models. The Phantoms of the Four-Ringed Opera, these cars have long-lived in the shadows, myths that are only seen rarely, cars no average mortal would consider owning. The social pariahs who do own them are even more strange, lurking in the dark corners of the internet muttering â€œNLAâ€ to themselves while figuring out creative ways to keep their coveted creations running, mostly though cannibalization of others. 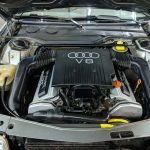 It seems Audi managed to pull off the unfathomable achievement of creating a whole new and unique set of VAG problems specific to the V8. This one appears to have been spared the ravages of time and most of the typical problems associated with the chassis. Little information is included in the ad, but this one appears to be Stone Gray Metallic with the rarely seen Platinum sport seats. 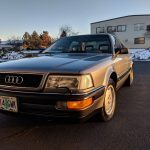 Mileage is low (in the realm of old Audis, anyway) and it appears to be all original. That probably means it retains the ‘UFO’ floating rotor design in the front. This is generally a negative for most today, but it’s easily sorted with later S4/S6 uprights and a swap to conventional G60 Girling calipers. 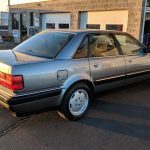 I’d also plan on a timing belt change, it probably needs a cleaning of the throttle body and cruise control unit, and early cars suffer transmission failure too from getting a bit too toasty, so plan a fluid swap there. But one can’t argue with the asking price, which is a very reasonable $4,500. 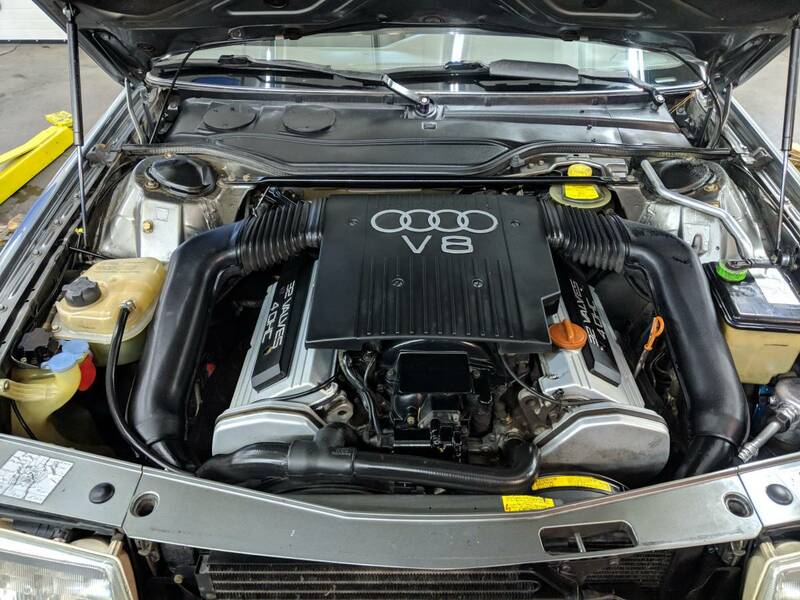 You can get V8s cheaper than this, but you probably shouldn’t get a V8 cheaper than this unless you’re planning on more of a project. 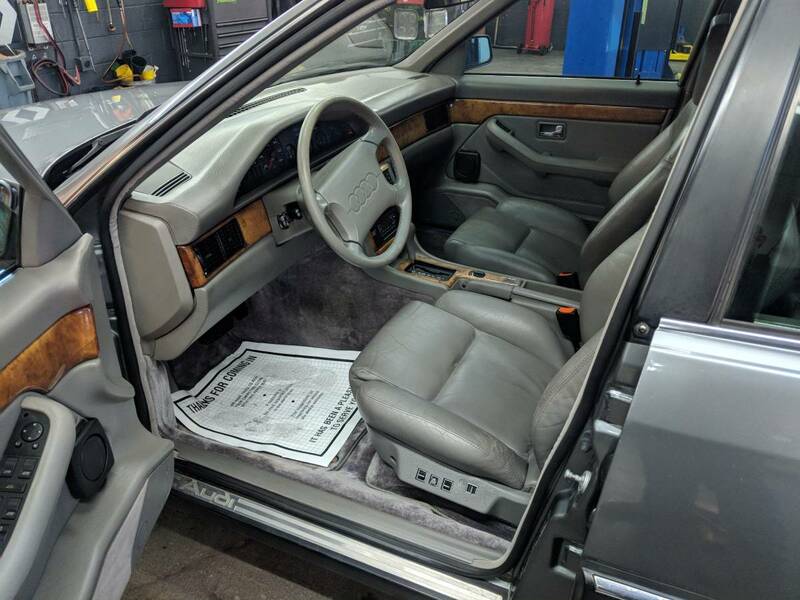 As this car sits, some preventative maintenance should yield you a refined and rare comfortable cruiser to roll into a local show. These cars are every bit the match of the contemporary Mercedes-Benz and BMW designs, if not being a bit more technically interesting and better to drive. There’s a reason they won the ’91 and ’92 DTM championship, after all, over lighter and purpose-built cars like the M3 Sport Evolution and 190E 2.5-16 Evo II. The 90s and 91s also lacked all badging outside of the rings – one of their most endearing qualities to me. You have to know what you’re looking at. Most will have no idea what you’re driving or why it’s special – but in the realm of having talking points to discuss, you’ll have them all beaten. Thanks to our reader Gary for the spot! 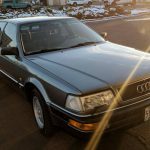 Tagged 1990, 3.6, 4 cam, D11, PT, Quattro, Stone Gray Metallic, Torsen, V8, V8 quattro. So, so beautiful. Someday one of these is going to come to market in the same realm of condition as this example but with a 4.2L ABH, manual transmission, and converted brakes. If / when that happens I think I might be ready to join the other phantoms of the opera. Those tail lights!! Rare to see a V8 let alone one this nice with under 100K miles. Nice find! Hope it finds a good home. 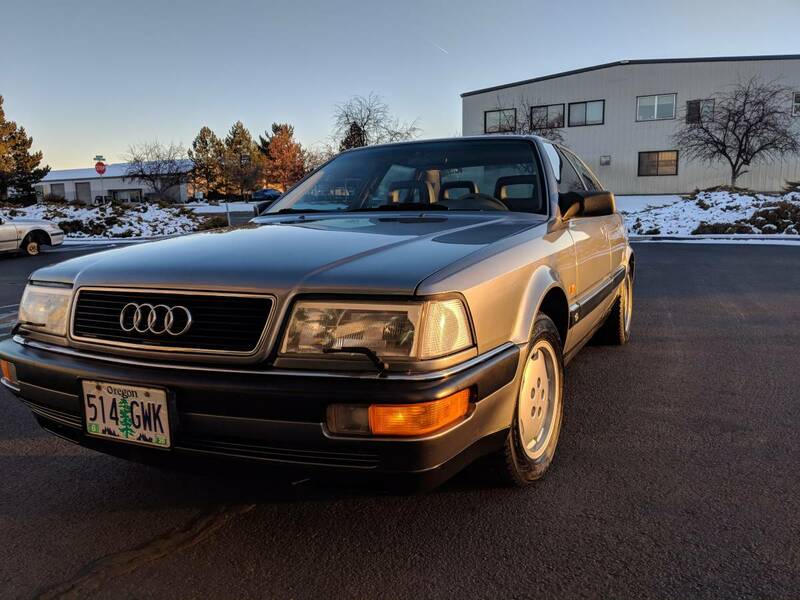 I still remember seeing one of these for the first time as a kid…..it was at an auto show and it seemed beyond unattainable….and very cool (that one was also stone gray….my fav Audi color of the period). 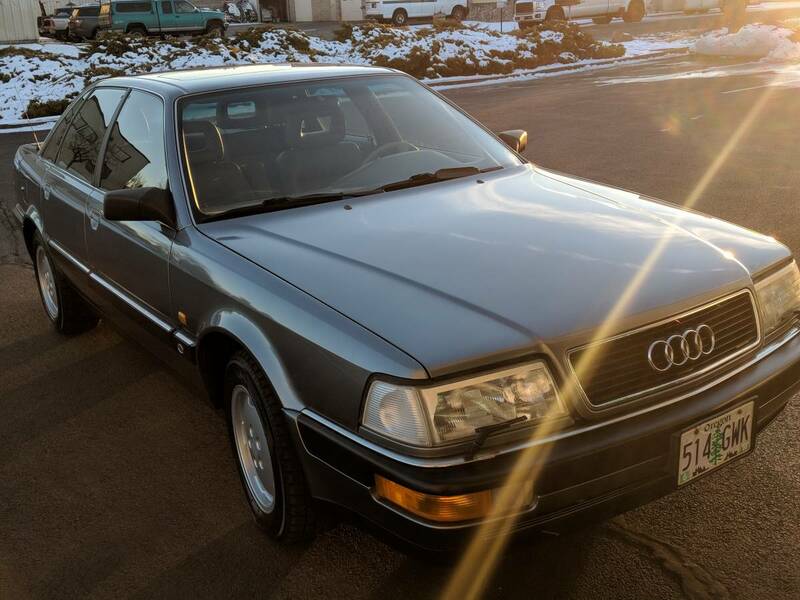 A Quattro with an automatic was obviously a watershed event, and paved the way for many since. Sadly, i donâ€™t think Iâ€™ll ever own one, as the inevitable challenges associated with NLA parts seem destined to drive me mad and overwhelm the joy from the other aspects of ownership. With that said, i love seeing this and wish the buyer many miles of fun. I remember these being terribly slow and the style is lamer then the Japanese luxo sedans. But unlike the Japs (which where at the least reliable), you never see any of these driving around. 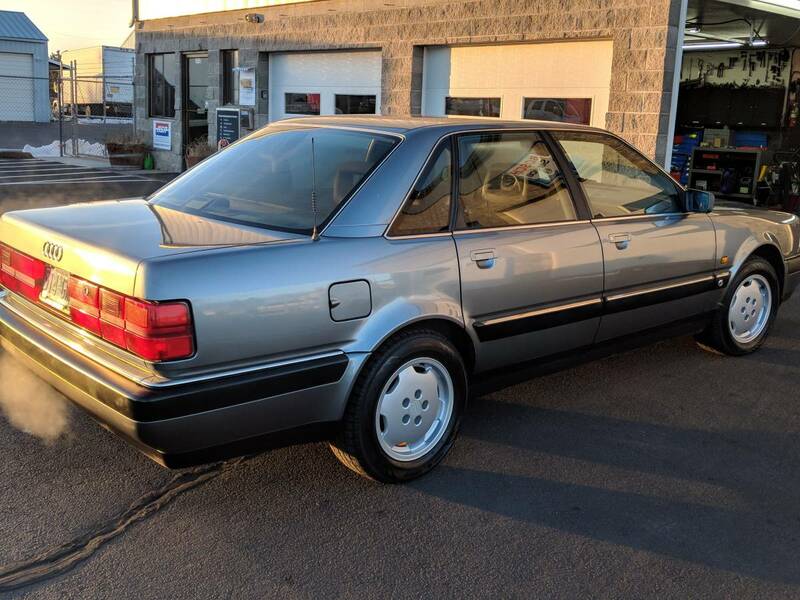 From the rear quarter view it looks like a damn Honda Accord. Very nice looking example!!! That said, I wonder if the odometer is accurate or if it is the not so uncommon replacement? I am reliving the drive just looking at the pictures. Thanks for that!